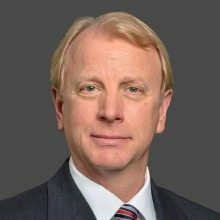 PAE has moved Andrew “Andy” Strampach into its vice president of business development position for the national security solutions business unit. Strampach comes from Leidos, where he led business development for the company’s intelligence community work. His 30-year career includes work at Parsons Government Services’ National Security and Defense division, where he as vice president of business development achieved an 85 percent win rate. He has also held leadership roles at SPARTA, General Dynamics Information Technology, GD Advanced Information Systems and SAIC. In his new role, Strampach will also oversee responsibilities for the recently acquired FCi business. He has a bachelor’s degree in social sciences from the University of the Philippines and a master’s degree in systems management from the Florida Institute of Technology.